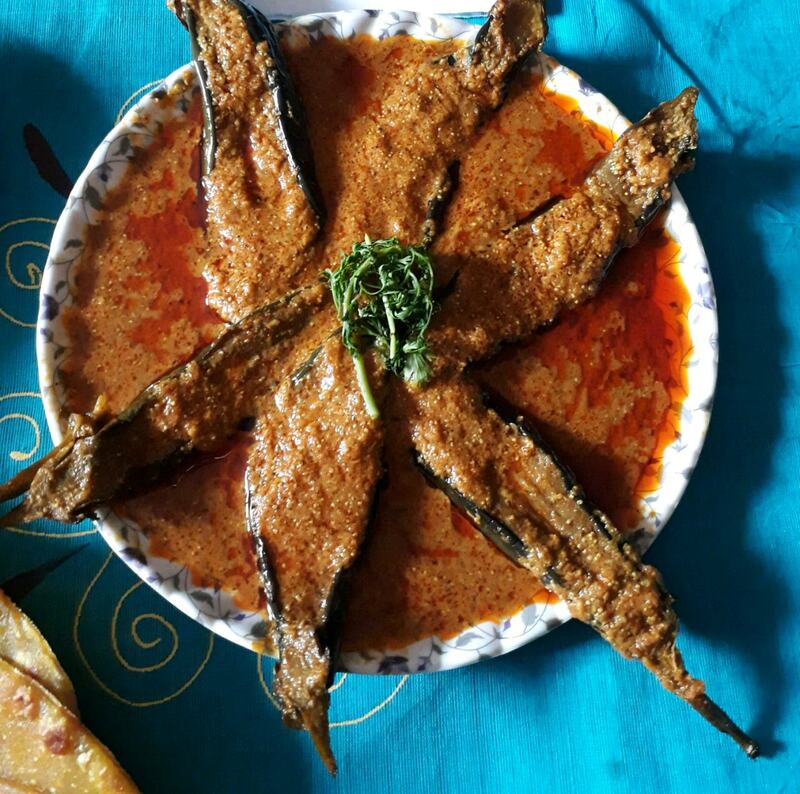 Cut the brinjal into halves & marinate with salt, turmeric powder & red chilli powder. Make a paste of green chilli, poppy seeds, garlic, onion & curd. Heat oil & slightly fry the brinjals & then take out from pan. Add the masala paste, ginger paste & all spices in the same oil & fry it for few minutes. Add some hot water & let it boil. When it will start to boil, add fried brinjals & salt.Cover it & let it cook till soft. After 5 to 7 minutes open the lead.Adjust salt & gravy. Add chopped coriander leaves & switch off the flame.